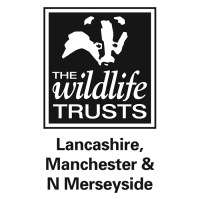 We are a leading environmental charity in the region that stands up for wildlife, creates wildlife havens and seeks to raise environmental awareness in our diverse urban and rural communities. We require an enthusiastic and motivated full-time Finance Assistant to provide support on Accounts Payable and general assistance within the Finance Department. This is an exciting role working in a busy Finance department with the opportunity to learn and develop with the organisation. Initially starting in Accounts Payable it is envisaged the role holder will eventually progress to assisting the wider Finance team with exposure to management accounting and year-end procedures with the option of study assistance available. We have recently implemented a new finance system (Xledger) with enhanced functionality enabling staff across the organisation to raise purchase orders, goods receipt and claim expenses. We are looking for an individual who will engage with staff throughout the organisation to support them in these processes. Full training will be provided on the system. Experience of Accounts Payable processes and VAT regulations would be a distinct advantage. The ideal candidate will be able to work on their own initiative, organise their workload efficiently and have a high standard of numeracy and IT literacy. Please review the Job Description before you apply. Should you be interested in this position please complete the Application Form and Diversity Monitoring Form and return your application before the closing date. Early applications welcome, strong candidates may be invited to interview prior to closing date. Please return completed applications by email here.